A day beside one of Scotland's finest salmon rivers with a 'reputable' professional ghillie will provide a great chance of connecting with the world's most iconic game fish and could very easily develop into a life long obsession like it has done for thousands of us. The natural world is where we all evolved from so there will be an instant subconscious recognition even for those who work and live in the cities or suburbia. In addition to this there's something spiritually soothing that's experienced while being present beside the calming flow and amazing scenery of a Scottish salmon river. Throw into the mix an infusion of multi faceted tactical tricks that have been proven to take the attention of a migratory creature that's technically not feeding in fresh water and you have indeed a unique blend that no other pursuit could ever offer. Forget the socks, champagne, perfume, jewellery & chocolates as these are the 'repetitive' Christmas gift lures thousands of multi national corporations are banking on. Invest your Christmas shopping money in Scotland's rural economies which otherwise are mainly dependent on the Summer tourist season revenue. An 'off peak' salmon fishing booking through December gives a significant financial boost to the Scottish rural economies which also assists with maintaing the full time employment of the 'brilliant & highly professional' salmon men of Scotland. Over the decades we have personally introduced thousands of new salmon fishers to the rivers of Scotland and we are renowned for doing the job properly as we are all true 'time served' professionals and that is one of the many attributes that seperates us from the pack. 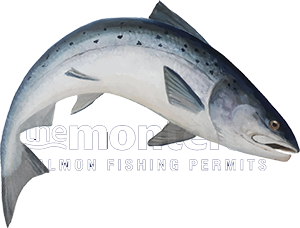 Follow this link for more information and details on everything involved in buying a salmon fishing gift voucher for Christmas.